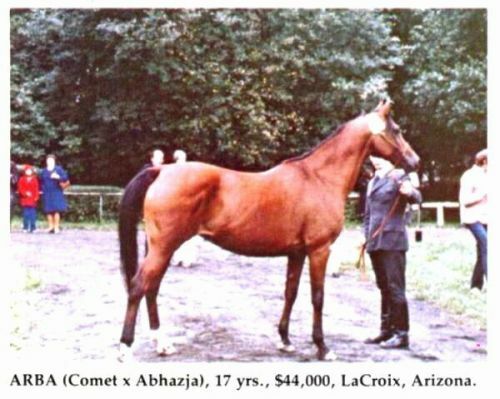 Arbil - a classic Kuhailan is the most important progenitor of the Krzyzyk-Banat strain crossed with Comet in Polish breeding today. 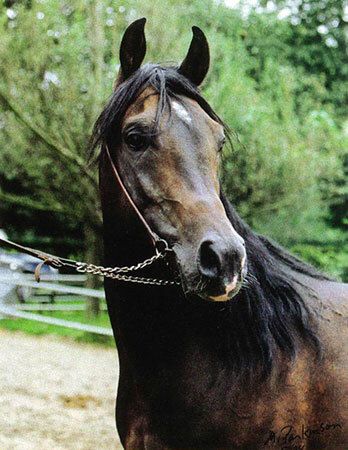 This great athlete with powerful motion, excellent body and high spirits proved his breeding potential when used successfully for three years on lease to Lasma East International, U.S.A., and at the Michalów stud in Poland. 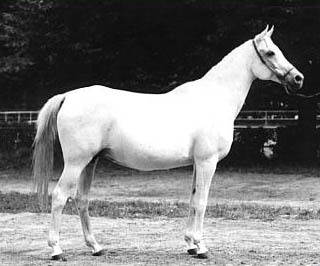 Arbil's unique pedigree is linebred to the phenomenal broodmatron Balalajka, (dam of the immortal Bask and Bandola), through her famous daughter Arfa, the granddam of Arba, dam of 14 foals including Arbor - National Champion of France and European Champion Stallion, and Arra - "Triple Crown" stakes winner and Champion Mare of Poland and Europe. 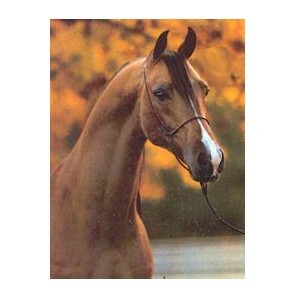 Arbil's sire Banat is himself a National Champion Stallion of Great Britain, and sire of Alarm US - US National Top Ten Park and Canadian Top Ten English Pleasure and of Piechur - "Racehorse of the year 1983" and Multi Champion. 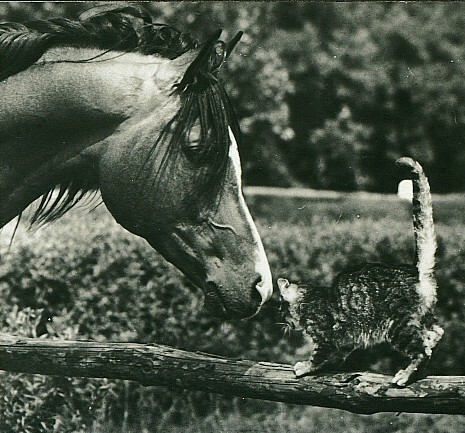 Arbil was at the racetrack for two years, 1984 - 1985. 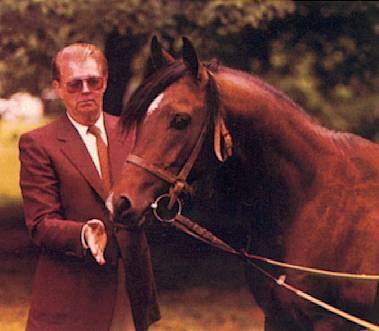 Racing record: 1984 - raced 8 times: 4 x I (Sasanka Stakes), 3 x II (Bask Stakes) and 1 x IV; 1985 - raced 5 times: 1 x I (Comet Stakes), 2 x II (Bandos, Produce Stakes) and 1 x III (Skowronek Stakes). 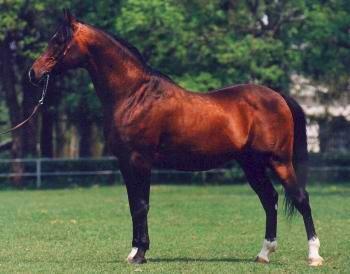 Arbil is the sire of Wachlarz (1990) - chief stallion in Poland, Desant (1990) - Polish Embargo Stakes Winner, Wiek (1992) - chief stallion in Poland, Wiazma (1992) - Michalów Junior Champion Filly 1993, Dziecielina (1992) - Michalów Junior Reserve Champion Filly 1993, Alba (1993) - Michalów Junior Reserve Champion Filly 1994, Farah-Bagir (1993) - best private owned stallion of Polish Association of Arabian Horse Breeders Show, Aryjka (1994) - Polish Oaks Winner, Medytator (1995) - Polish Gepard Stakes Winner, Eula (1996) - Polish National Champion Filly & Best in Show 1998 and Marbil HT - German Grand Prix Winner.